Monarch Air Group provides private air charter in Naples, FL. Our clients benefit from top-notch service, unrelenting dedication to safety, wide selection of aircraft, and years of experience in chartering private jets. To obtain a free quote, please use our online quoting tool provided below, or call toll free 1-877-281-3051. Monarch Air Group provides private jet charter flights in and out of Naples, Florida. 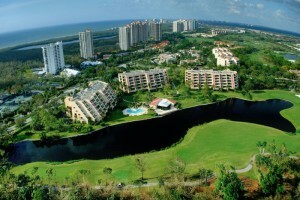 Situated on the Gulf of Mexico, Naples is the famous place in South Florida. Naples has something to offer for everyone from white sandy beaches, beautiful nature, fine dining, great shopping, golf courses, to excitement adventure and recreational facilities. The most popular tourist attractions are the Big Cypress National Preserve, the Everglades National Park, the Ten Thousand Islands National Wildlife Refuge, the Florida Panther National Wildlife Refuge and others. Besides there are many cultural attractions including the Philharmonic Orchestra, the Naples Cultural Landscape, the Naples Historical Society, the Collier County Museum, the Naples PlayersInc., the Fifth Avenue Design Gallery the Weatherburn Gallery, and the Theatre Zone. With year-round sunny weather Naples is a perfect place for the outdoor activities from renting a canoe or a kayak for a day to taking an airboat ride through the Florida Everglades.